These prawns were very plump and fresh, and we joked that the "Marie Rose sauce" was probably the simpler version using only ketchup and mayo... But it didn't matter. 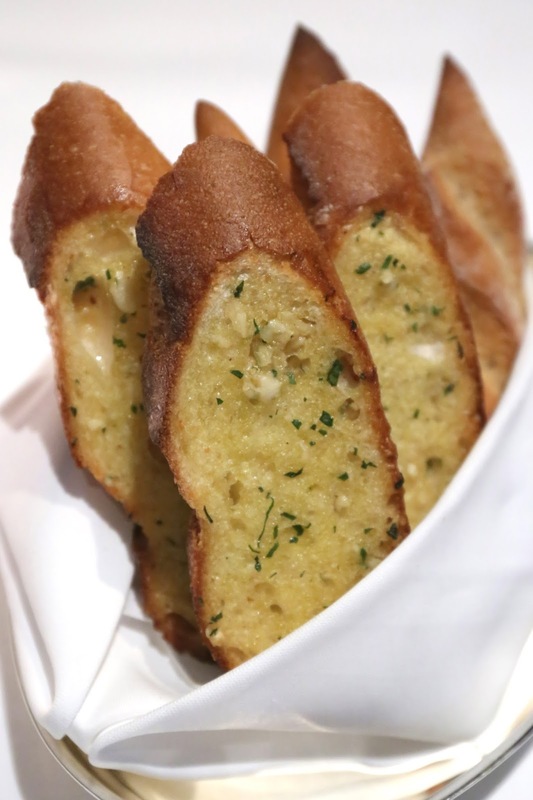 French onion soup, onion and beef broth, cheese crouton - my last bowl of French onion soup must have been a few years ago, so I really wanted to see how well they do this classic. Very, very good. Underneath the big piece of cheese croûton is a soup that has plenty of beef flavor but without the salt, since it is infused with the sweetness from the onions. Very well balanced. Slow braised roe deer stew, spätzle, glazed apple, cranberry, cepe, ventrèche bacon - I love game, so I didn't want to pass up the chance to have roe deer. Unfortunately the meat was too dry and tough, and braising didn't really end up tenderizing the meat when there's not a lot of sauce. The pieces with some tendon were slightly better. Love the croûtons and the cranberry sauce. For some reason I didn't particularly enjoy the ceps. The spätzle that came on the side was very good. I love Brussels sprouts, especially when they come with bacon... Here they use ventrèche from the southwest of France. Creamed spinach - a little on the salty side. Apple tart tatin, French vanilla ice cream - the girls shared this and I got a taste. Pretty good and nothing to complain about. We finished with these chocolate ice cream bonbons. Yum. I fished out a bottle that I've been cellaring for over 15 years, and decided to pop it open on this occasion. 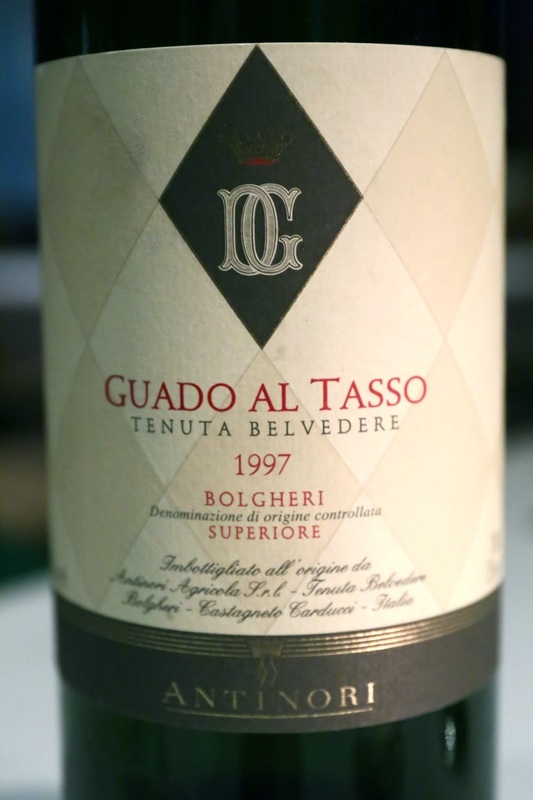 1997 Guado al Tasso - good sweet fruit, nice smokiness, earthy, woody, leather, lovely and fragrant nose. Wonderful sweetness. Other than the game dish, I really enjoyed most of the food I had tonight. These were timeless classics that may not be so exciting, but you just can't go wrong with them, and they were all well-executed. Now I know where to go when I need me some French onion soup... or prawn cocktail!